Tassels aren’t just for the cap & gown look anymore! Graduations mark an exciting milestone in a person’s life. They represent the closing of one chapter and the beginning of one that’s brand new! And while high school graduations can bring up a lot of different emotions, ranging from excitement (newly minted adults!) to sadness (parents facing empty nests! ), they deserve to be celebrated! 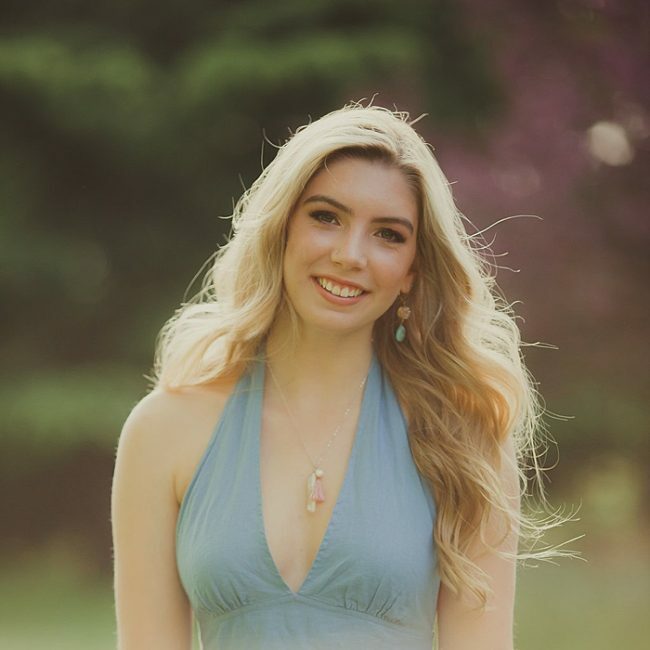 So, to make grad party season a little easier, we put together this list of our favorite graduation gift ideas for high school girls. 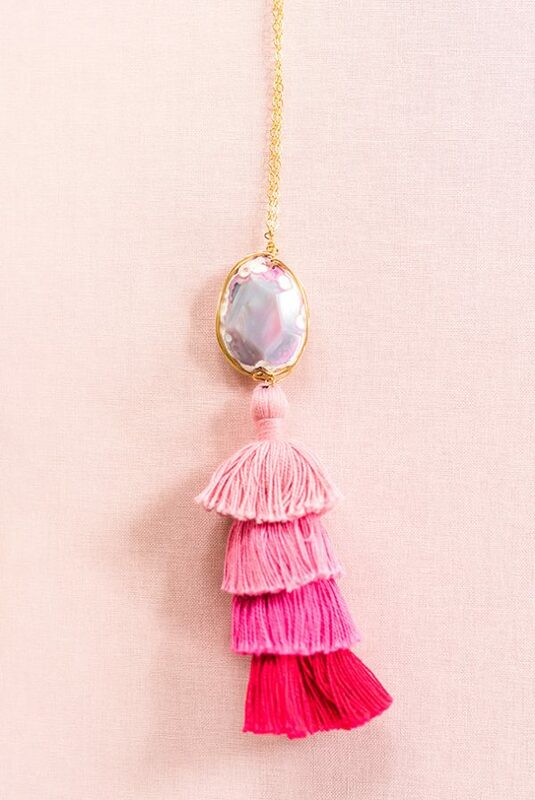 Tassel jewelry is the “it” accessory of the summer! As lightweight statement jewelry, tassel jewelry is both cute and comfortable. Girls everywhere are accessorizing with earrings, necklaces, and bracelets adorned by tassels! 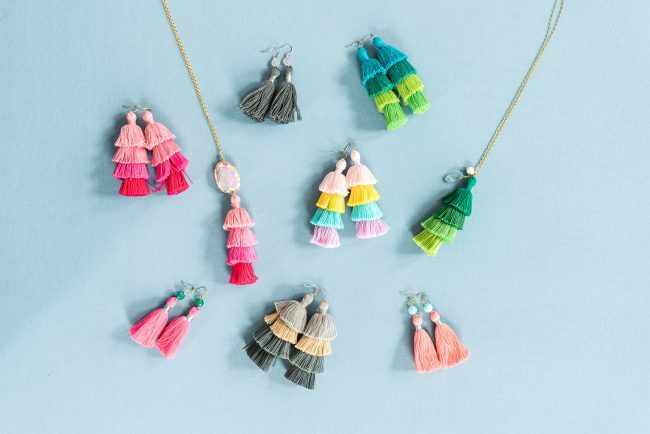 Our Tassel Collection offers a whole rainbow of graduation gift options following this trend. 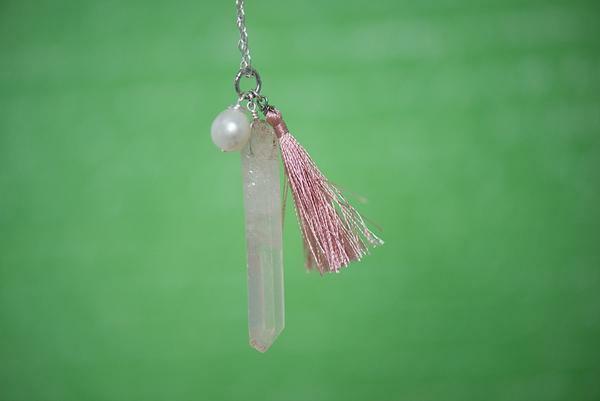 For girls who like delicate or minimal jewelry, we recommend the Pink Crystal Spike & Pearl Tassel Necklace as a graduation gift. Its pale pink and white hues pair well with a variety of outfits. And the semi-precious quartz spike and freshwater pearl make this necklace feel extra special to receive. Speaking of semi-precious gemstones, we also love the Blue & Gold Druzy Teardrop Earrings as a graduation gift idea! Most high school students only own costume jewelry. So a gift of high quality handmade earrings is a thoughtful way to mark a girl’s transition to adulthood. 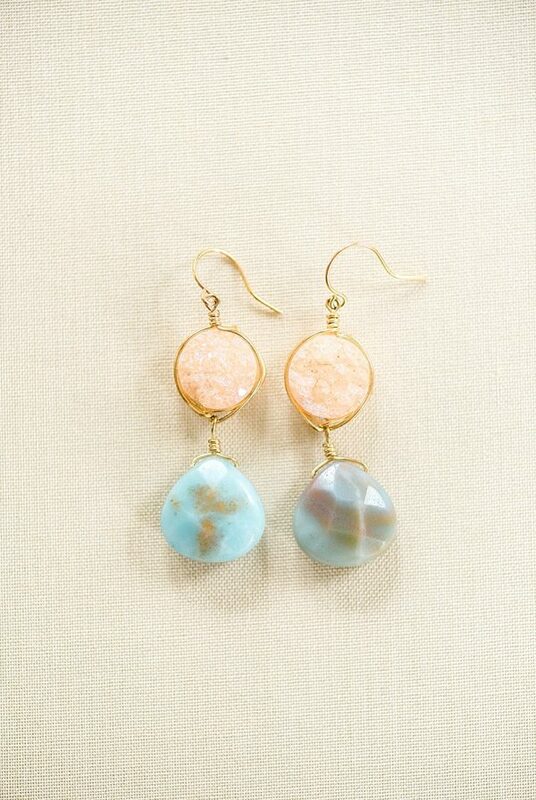 The sparkly crystal layer on the druzy gemstones contrasts beautifully with the smoothly faceted amazonite teardrops. It’s a look that she can dress up or down! For girls who aren’t afraid to make a fashion statement, we recommend a brightly colored Tiered Tassel Necklace! The Jewelry Shop currently stocks this gemstone-accented necklace in two colors, pink and green. But if you’d like a different color for your grad, just send us a note and we can create a custom design for you! No matter what graduation gift you choose, the point is to make the graduate feel special. Recognize her accomplishments and give her a gift that will carry her confidently into her bright future! 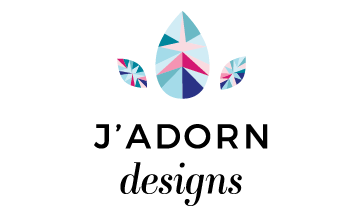 Our Jewelry Studio Team Has a New Member! This change is one that has been in the works for a long time and I’m thrilled that we can finally make it official. 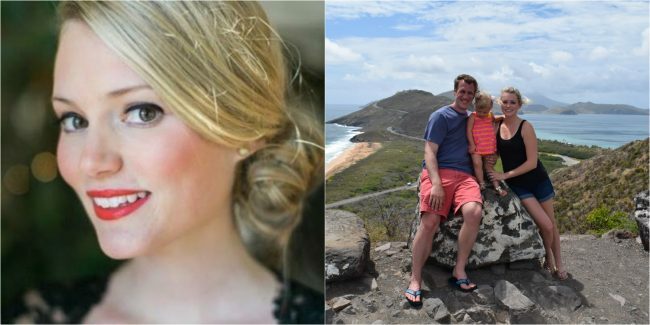 To help you all get to know our newest team member, I sat down with Betsy for a fun little interview. Read on for the full scoop! For starters, tell us a little bit about yourself! I’ve got wanderlust like whoa! My husband and I love to travel and make it a real priority, even and especially with our little one. We’re heading to Portugal later this summer with some great friends (who are from there). We’re also big Disney fans and are DVC members, so we visit Disney World and take Disney Cruises often. I’m an early riser and usually go to bed (to read for a bit) right after I put my daughter to bed. I’ll skip coffee every time in favor of tea (a London Fog or an Iced Chai are my go-to orders at Starbucks). Give me all the Bravo shows, please! And podcasts are what get me through my chores and long drives (unless I’ve got something great on Audible). If I could live anywhere, with no worry about expense, I’d live in Manhattan… up high with city views. I love that city and feel more alive when I’m there. My husband feels the same way. And our three year old is musical theater and ballet obsessed, so when you ask her where she wants to live, she’ll tell you “New York” too. I also love to be on or near the water. I love to paddle board and am even pretty good at SUP Yoga. I enjoy cooking and baking and we often do so from scratch together as a family. I know every word to Hamilton, have seen it on Broadway (with a few original cast members!) and am ALWAYS up for a cabinet battle karaoke challenge! If you were a piece of jewelry, what would you be and why? If I were a piece of jewelry, I think I’d be a pave diamond infinity ring. Subtly elegant, classic, sparkly but not flashy. Diamonds because of how tough and strong they are. In my life, especially recently, we’ve had a lot of struggle and loss. But I think and hope I am still shining. The infinity part is key, because there is depth and beauty from every angle. Something I strive for is to be well-rounded and self-aware. I try to be authentically and unapologetically myself in every situation, no matter who I am with. So no matter which way you look at me, you’re getting the same me! What is your most cherished piece of jewelry? 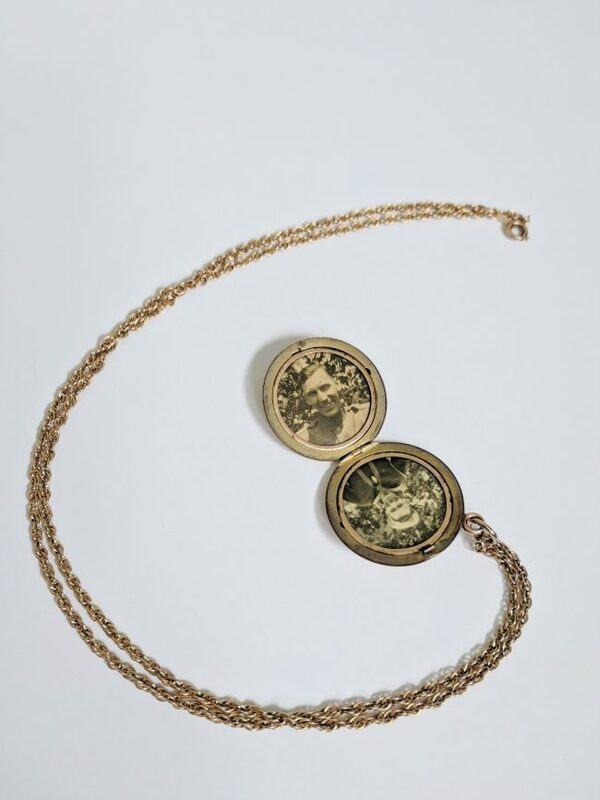 Aside from my wedding rings… my mother recently passed down a locket to me that belonged to my great-grandmother. And it is quickly becoming one of my go-to pieces that feels super special to wear. Like I’m wearing a piece of my family, a piece of history. It’s a round gold locket, about the size of the circle your index finger and thumb make when you touch their tips. On the front of the locket, my great-grandmother’s initials are engraved in a scrolled script; on the back, a floral wreath. So, it’s beautiful to wear with either side facing out. Inside the locket are two photos. One is of my great-grandfather in his WWI Navy uniform. The other is of my own grandfather in his WWII Coast Guard uniform. And actually, I just gave the piece to Ali because I’d like to have the locket set on a longer and slightly more delicate chain! I am so excited to be able to hand this special locket down to my daughter someday and keep this piece of family history proudly worn. I love a good neutral! Skinny jeans, a casual top and some Tieks are my staple. 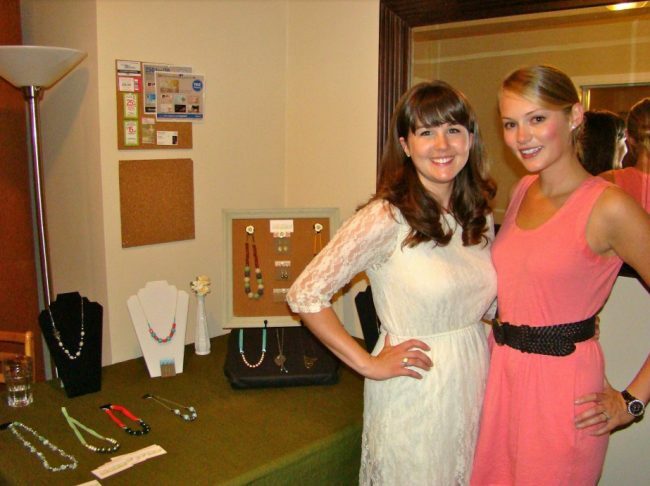 Topped off with some great jewelry, of course! Right now, I’m really into long necklaces paired with stud earrings. That’s my usual everyday look (with shorts and sandals swapped for in the summer). When buying clothes, and really pretty much anything, I prefer to go for classic, timeless design in great quality pieces. I’d rather spend more, have less and a use things for a long time. First of all, I love diamonds. Basic, I know. But I’m a neutral girl most of the time and diamonds go with everything… even yoga clothes! But, as far as color goes, I love a pale blue topaz or an aquamarine. What gets you out of bed in the morning? Honestly, usually my three-year-old! Partly because she is an early riser, but mostly because I LOVE spending my days with her. I have always enjoyed young children and I am fascinated by childhood development and neuroscience, so I now as a mother, I get a front row seat to watch it all happen in real time. 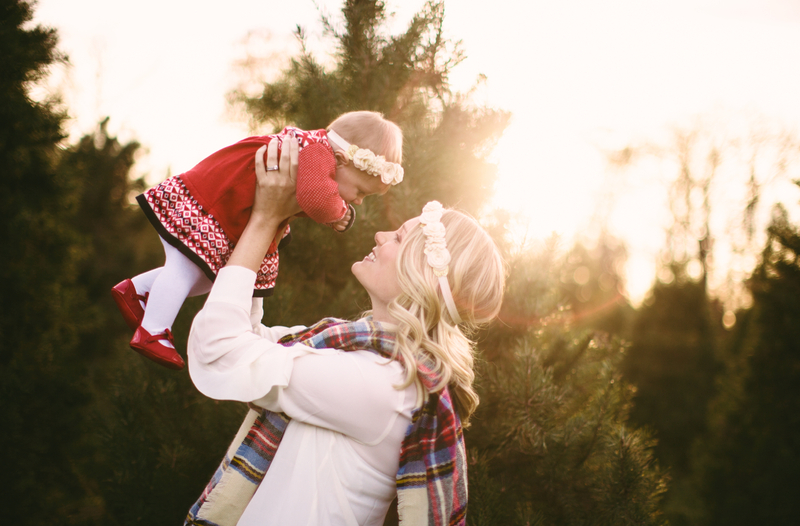 I try to be intentional in everything I do, especially when it comes to parenting. 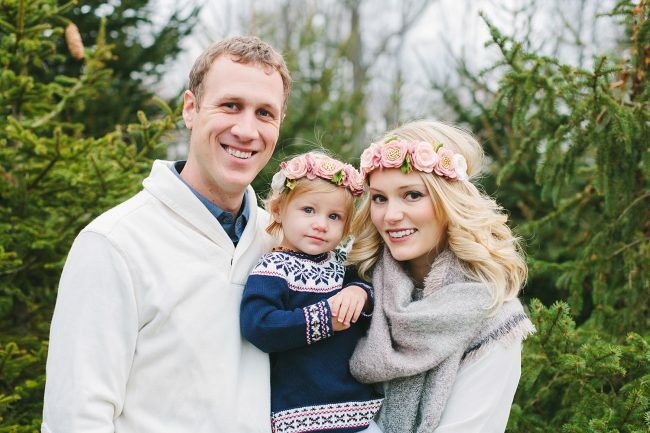 My husband and I have made specific choices for our parenting style and, though it can be a challenge at times to keep from yelling and lead with empathy and connection always, I feel enlivened by the experience! 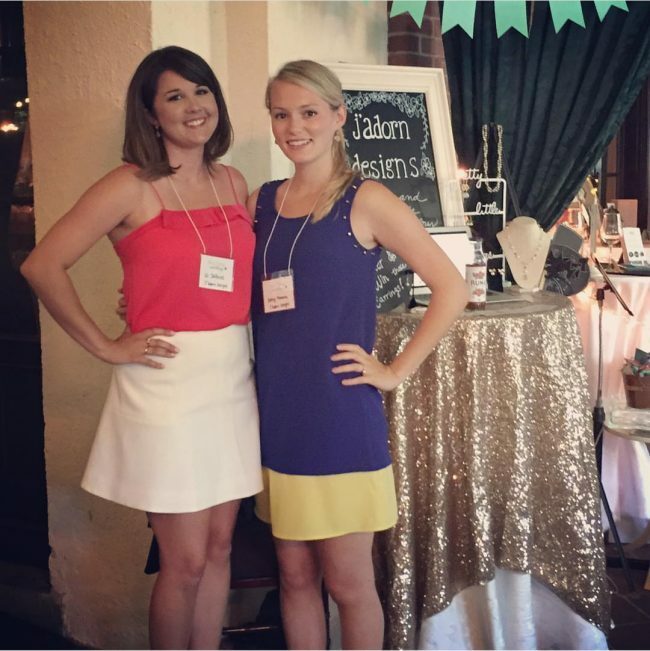 What are you most excited about in your new role as a member of our jewelry studio team? As my daughter, who just turned three, will be started preschool in September for a few mornings a week, I am excited to do something for myself again! I have always loved to write and enjoy being creative in that sphere. So, I can’t wait to get back into a routine that involves regular writing tasks. I’m ready to start flexing those muscles again!